For those who have found the trip report, you can catch up with Day 1 Part 1 so you can get up to speed with the upcoming post. It was a busy morning and afternoon. It was also becoming a long day since we were at 4:30 am Eastern time and it was now rapidly approaching 6 pm Pacific time. Could we stay awake until our 6:50 pm dinner reservation at Blue Bayou Restaurant. OF COURSE WE COULD!!!!!! We are at Disneyland! Jet Lag be damned. We pushed through until dinner time at Blue Bayou. But first, a picture of the Disneyland Main Street Train Station to start our visit to Disneyland Park. As a family, who has made many trips to Walt Disney World in past six years, we were amazed by the smaller scale of Disneyland. The castle was still a castle but looked noticeably smaller. The walkways especially as you got deeper into Adventureland and Frontierland seemed tighter. The attractions felt closer together. There wasn’t a long walk from attraction to attraction. We wound our way up Main Street and broke off toward Adventureland and then finally back into New Orleans Square. The Blue Bayou, for a first time visitor, was a bit hard to find. We wandered through New Orleans Square for a good five to ten minutes before finding the restaurant tucked in the back of New Orleans Square. It took about 10 minutes for our name to be called after checking in with our reservation. The restaurant is a Cajun version of San Angel Inn at Walt Disney World. The restaurant is very dark but has an intimate feel and some of the guests (not us) have the opportunity to sit along the water and watch the guests enter the main part of the Pirates of the Caribbean attraction. The service and food at Blue Bayou was excellent. The menu was diverse and had something which everyone could enjoy. I had a wonderful broil filet mignon, my wife had the jambalaya, and my daughter had the fish of the day off the kids menu which was salmon. This was also our first experience not eating on the Disney Dining Plan so we passed on dessert. I would highly recommend a meal at the Blue Bayou for anyone visiting Disneyland. After dinner, we headed back out into the rapidly building crowds. It was very hard to keep the group together but the cast members were doing their best to keep traffic moving and in the same direction. That night, Pirates of the Caribbean had a very long line so we decided against going on that as our first Disneyland Park attraction. 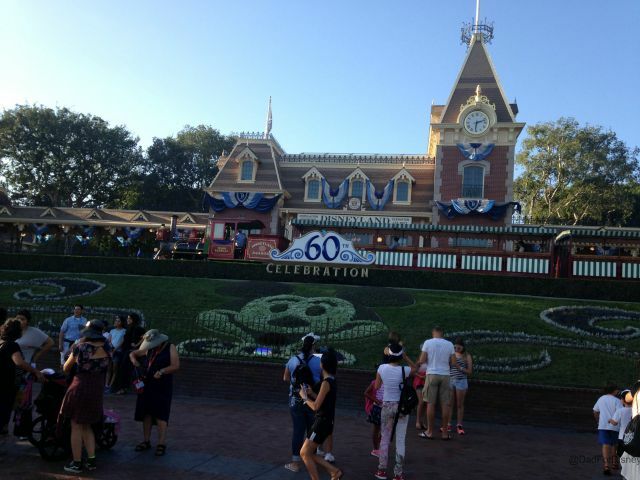 We pushed our way through the crowds to The Haunted Mansion and made that our first Disneyland Park attraction. This would also mark the first time that our daughter would go on Haunted Mansion. To say she was scared would be an understatement. She didn’t want leave my wife’s side as we entered the stretch room but at no point did she ask to leave the ride. She rode in a Doom Buggy with my wife while I got to ride in a Doom Buggy by myself. My wife did an excellent job of calming her fears but going through an explaining how some of the effects were created and what they we designed to do. After Haunted Mansion, the crowds were really starting to get thick and it was pushing 9:30 pm Pacific Time which felt like 12:30 am the next day to us. We were approaching a 21-hour day. We decided to leave the crowds and the parks to head back to the room. 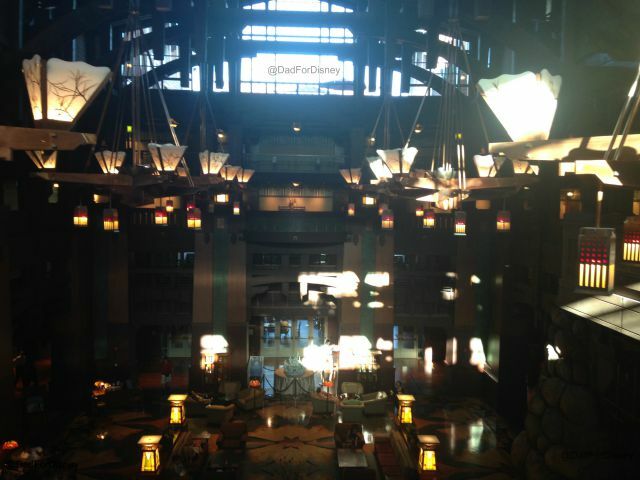 We had an early reservation at Storytellers Cafe for a breakfast with character the next morning. I loved the Blue Bayou. So worth every penny. We were lucky too, we sat right next to the water. Can’t wait to continue to read along!